Workamping is basically where an RVer works for a campground, RV Park or other business in exchange for a site, pay or both. New ads aren't showing up for me. Some browsers cache the listing pages. This means they are storing a copy on your computer and showing it to you instead of loading a fresh copy from our server. While viewing the job or resume listing page, hold CTRL and press F5. This will load a fresh copy of the page. How is this site free? I see numbers after the @ sign in the email addresses. What is that? Older and non-standard browsers cannot properly display the pages on this site. To thwart spammers, we insert random numbers after the @ symbol in all email addresses. Modern browsers will not show the numbers when you look at a page, but if you see them, simply remove them to get the correct email address. Do you accept ads from companies looking for sales reps? Yes. 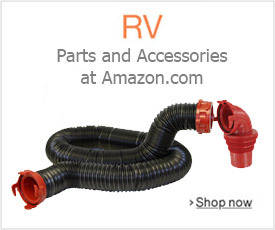 However, since this is not our primary focus on the site, ads of this type are listed on a separate page away from the regular RV worker positions. Do you accept ads that are from non-RVers looking for work? No. 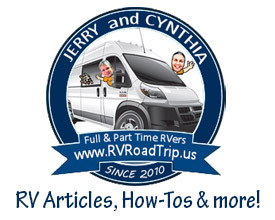 This site is strictly for RV workers and those businesses that hire them. I just submitted an ad or image. How long before it is available online? New ads/images are typically reviewed within 12 hours, usually much sooner. The system notifies us and we review it just as soon as we can. Can I add an image to my ad? Yes. You will be given that option after you have submitted your ad. There is also a link on the right hand side of the job listings page. Can I delete an image from my ad? Yes. Click this link to remove your image. I forgot my ad ID or password. What can I do? Visit this page to recover your ad ID or password. What do you look for during the review process? We want to make sure the ad or image is not spam or inappropriate, and that the ad text contains contact information. This is the date and time the ad was submitted along with the ad ID. The time is our server time, not where you are. Do you screen the users who submit ads? We do not. Not every RV worker, job or campground is viewed the same by everyone. What one person deems a horrible experience another will find it a joy. We advise everyone who responds to an ad to exercise due diligence in determining suitability for a position, both as an employer and a worker. Why do I need to renew my help wanted ad every 30 days? Don't you hate those sites that show ads but when you contact them, you find out the position was filled 6 months ago? Yeah, we do too. Our employers and workers will always know that the ads they are viewing were actually submitted within the last 30 days! I noticed a mistake in my ad after I submitted it. What do I need to do? You can fix it! Just visit the edit page and make the changes you need. Will spammers get my email address from my ad? The real answer here is... probably not. We automatically scramble your email address in the source code of the ad listings, but it still displays normally to a human viewing the page. There is no way to totally prevent the spam bots from getting your email address, but we at least make them work for it. Will I be notified if my ad was approved or denied? We send notifications when an ad has been approved. If an ad is spam or not suited for RV workers, we just delete it. If an ad fails review and is a valid ad, we notify the submitter and ask them for what we need to make it right so it can be quickly approved. Can I have more than 1 ad active at a time? You sure can! However, duplicate ads are not permitted. If you submit a new ad that duplicates an existing ad from you, the new submission is discarded. Are ads ever deleted from the database? Under certain circumstances, yes. But generally, no. For example, if a new ad duplicates an older ad in the database, we will delete the old one. Also, if the ad owner requests deletion, we will honor their request. You may simply edit the ad status to mark it as inactive (hide it). It will not be visible to anyone but you if it is inactive. Alternatively, you can send the ad ID and password to us and ask us to delete the ad from the database altogether. Yes, but any changes flags it for review... but once we review it, it will be visible again. I'm an employer and I filled the position. What can I do now? You can flag your ad as "Position Filled". This will remove the ad from the website but it remains in the database. Simply click here, enter your ad ID/password and hit SUBMIT. Change the option POSITION STATUS to "Filled" then click UPDATE AD and you are done. Should I respond to everyone who answers my ad? Yes. Be courteous as someone took the time to respond to your ad. You should take the time to respond even if it is to say "no thank you", etc. If the response is obviously spam, you can ignore it. I found a fake ad. How do I report it? We're not perfect so this may happen. If so, copy and paste the info from the ad into an email and send it to us and we'll take care of it. How are ads ordered on the pages? By default, the most recently submitted ads are displayed at the top. You have the option to sort other ways. Resumès are displayed with those most recently updated at the top. They can be sorted other ways as well. When does an ad get bumped to the top of the page? Brand new ads get posted to the top of listing page by default. Editing an ad that has expired or is near expiration will bump it to the top of the listing page. To prevent on demand bumping of ads to the top, we track the edit history. Why are there Google AdSense, Amazon and other ads on the site? These ads allow us to offer this service at no cost to the users. When you click on an ad, we earn a few pennies. We'd like to thank those of you who visit our advertisers. Click here and email your suggestion to us. Do you send us any emails? You will get an automated email containing your ad ID and password immediately after you submit a new ad. We also send a message when we approve your ad. If you have an active ad and it is about to expire, we will send an automated message reminding you to renew the ad for another 30 days. And of course we will answer any emails you send to us. We may send emails to everyone in the database if there is important information to share. Just send us an email from the email address you used when submitting your ad and let us know that you no longer wish to receive any emails from us (be sure to include your ad ID). We'll flag it so it won't send you emails anymore. However, if you submit a new ad or edit an existing ad at any time, it will override your previous request to not be sent any emails. See the question just above this one regarding when we send emails. Isn't it illegal for employers to ask for a photo of me?